URL Redirection routing in Kintura is done via saved, reusable Routes. These "Routes" are then added to Campaigns. Reusing Routes is optional but highly convenient! Routes consist of groups of Landing Pages and Offers that belong together but can be rotated (see Campaign > Route Mode). Filtered Routes are just Routes with Filters attached. Every campaign has to start with a "Default Route" -- this is how Kintura knows where to redirect when there is no Filter match. A common Filter is a Bot Filter. 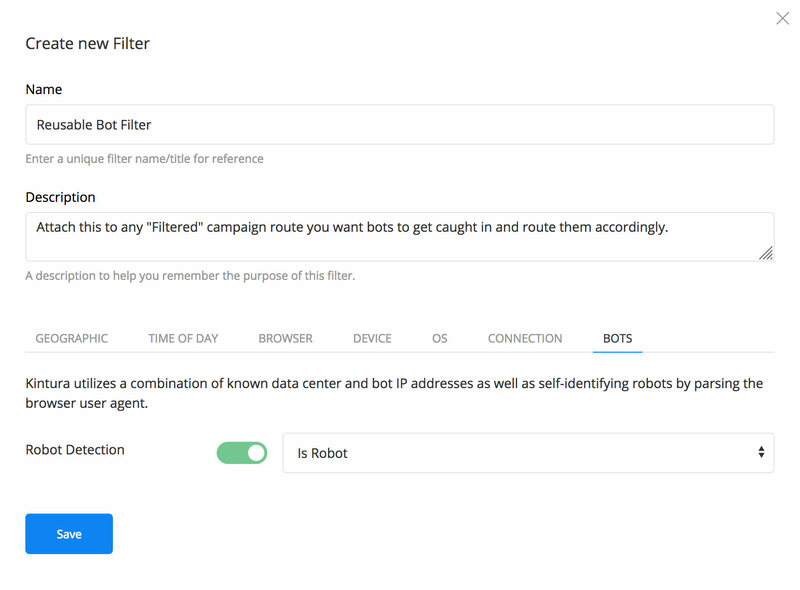 Just like Routes, Filters can be re-used and applied to any Route within any Campaign! If you have multiple filtered Routes, simply drag them in the order you wish for them to be evaluated. The user will be assigned the first matching Route. Routes have Offers and Landing Pages. At this time, even when you're using KinturaJS, it's important to place Landing Pages within your Route for that Campaign. Kintura supports multiple routing modes which determines how Landing Pages or Offers are "rotated" if at all. In All Sticky mode, everything sticks. You can create and manage routes without leaving your campaign editor. This allows you to add multiple Landing Pages and Offers all in one place. 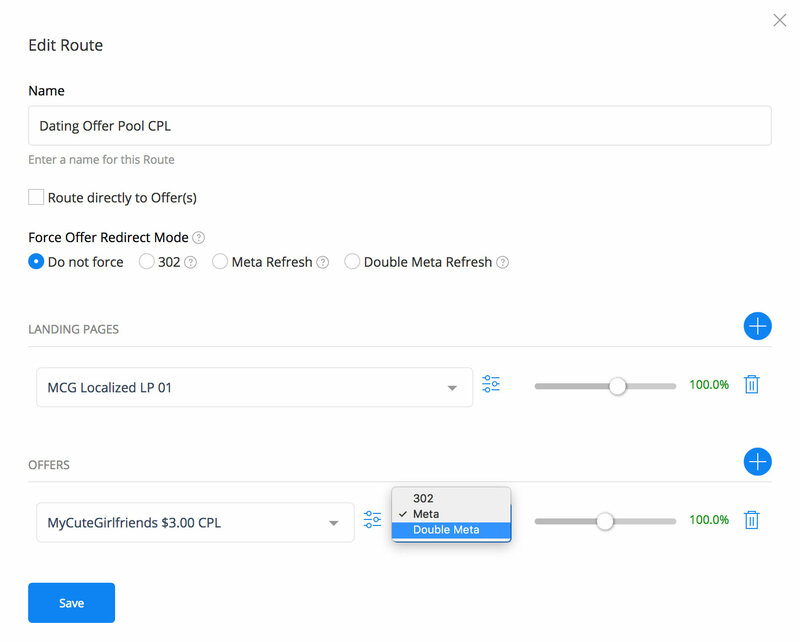 In this example we have a simple route with one landing page and one offer which we redirect using the "Meta" refresh method. You can also choose 302 or Double Meta. A filtered route is simply a route that is attached to a campaign along with a filter. Everything in Kintura is designed to be reusable to prevent repetition!